You doubtlessly know what professional dog training is all about, and, consequently, are aware of the importance of high-class dog equipment. We share your concerns about the quality of materials dog products are made of, their solidity and durability, as well as about their look. This is why our company produces dog gear that far and away meets international standards. 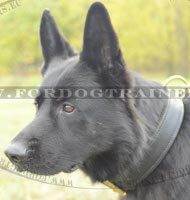 Dog Harnesses for K9 training, for pulling and tracking; sturdy leather collars and harnesses for agitation training; comfortable wire basket and leather muzzles, nylon and leather dog leashes, exceptional quality items for dog sports, and so on and so forth... You can find a vast array of premium quality dog products for very pleasant prices! Here is a list of products which professional dog trainers all over the world choose for their pets, and it obviously can help you to make the right choice. What tools are indispensable for active agitation work? 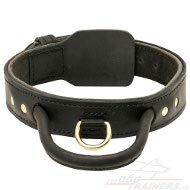 Mainly - collars and harnesses. What to do if your dog is big or even giant, and very strong? 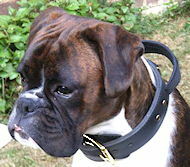 This 2 ply leather agitation dog collar is absolute fit for such pets. Durable and strong, our leather agitation dog collar is designed in a special way, has a protective fur plate and rustproof hardware. Service and guard dogs can be trained in an easy and effective way with the help of this leather agitation dog collar with handle. Our dogs keep us fit... 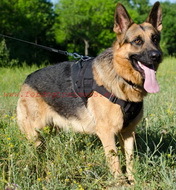 If you like sports and your pet shares your hobbies, it needs nylon multi purpose dog harness. 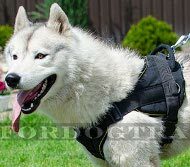 We introduce this nylon dog harness with handle for tracking / pulling - the product which is approved by many professional trainers and dog handlers. Paramount quality material is waterproof and easy to wash. Our black nylon dog harness doesn't irritate the dog's skin and can be used in any weather conditions for dog walking and training. 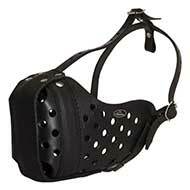 This piece of dog gear is adjustable and convenient for large dogs who live fast! Among many leather dog leashes for training which to choose? You would like it to be solid and unbreakable, soft and pleasant to hold? 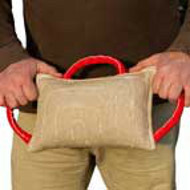 You need it to help you to keep your doggy obedient and under control? This leather dog leash heavy duty is not just a leather dog leash for training, but has exquisite braided parts at handle and hook. Made of full grain oiled leather, this product is an object of luxury. We suggest you braided leather dog leash 6 foot, 5 foot, 4 foot, 3 and 2 foot. Here is a fabulous multi-functional training tool! 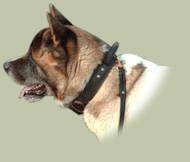 2 snap hooks leather leash can be used as traffic leash, waist leash, over the shoulder leash, and even to walk two dogs! Our professional leather dog leash is made to save your money and to allow you to train your pet in different ways. This handmade article is 5 ft and 7 ft according to your needs and purposes. 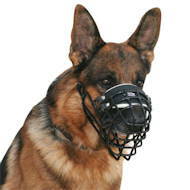 Are you looking for a solid wire basket dog muzzle German Shepherd or wire dog muzzle Boxer? 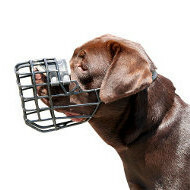 Our company makes various wire dog muzzles for sale, so you can choose. 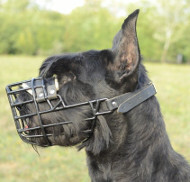 As for the wire cage dog muzzle listed here, it is really wonderful, because, providing free air flow and allowing the dog to breathe, bark and drink, it protects its snout and is well fixed with the help of leather strap. Its distinguishing feature is black rubber coating - the wire dog muzzle is useful in winter, as well as in summer. Training your Rottweiler, German Shepherd or Pitbull agitation? 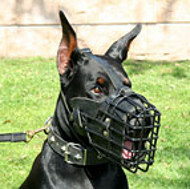 You definitely need this leather dog muzzle, incomparable for its strength and comfort provided for large dogs. Front metal plate keeps the shape of the muzzle, which has holes for free dog breathing. The product prevents the dog from biting and has original design. Is good for training dogs in police and military units. If your dog works in police or military unit, its gear should be 100% reliable and comfortable not to disturb the animal and not to distract him from the work. This wire dog muzzle is an undoubted leader of sales for working dogs. 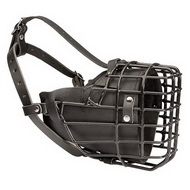 Strong metal cage is covered with rubber, protecting the muzzle from corrosion. 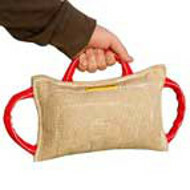 All the parts of the product are made of safe non-toxic materials, stitched and riveted together. 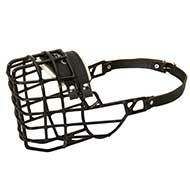 Excellent basket cage muzzle for the strongest! Your dog is ready for dog bite sleeve training? 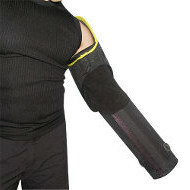 In case you want to get a dog bite arm sleeve convenient for dogs of different age, this is the answer. 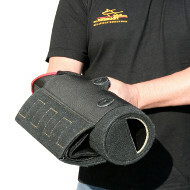 Our attack dog bite sleeve is made of durable exterior and interior materials, and has an adjustable padded handle inside, allowing you to control the training process completely. 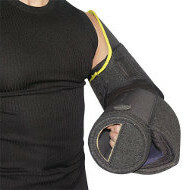 The bite area is elastic and adjustable in three ways. So, if you are looking for a working dog bite sleeve or young dog bite sleeve, you've found the right address! 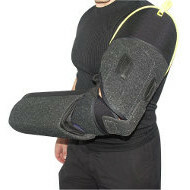 Starting to practice biting with your dog and choosing a hard dog bite sleeve to protect the arm up to the shoulder? 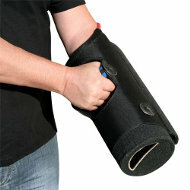 We introduce you this ultra-lightweight dog bite arm sleeve with cover. 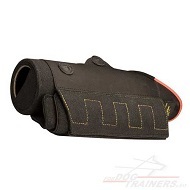 The item guarantees safety for your dog during the complicated training process, because, as other professional training dog gear, this short bite sleeve is made according to the professional trainers' advice. Do not hesitate to use professional dog supply to get the desired result! With their biting instinct well developed, dogs can be excellent guards, knowing for sure when to bite and how to do it. 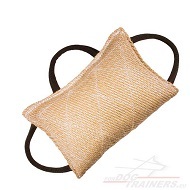 Use this dog bite pillow made of jute with dog friendly stuffing. It has light weight and wide bite area surface. 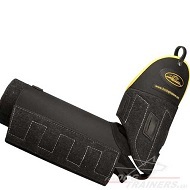 This dog bite training pad is equipped with three flexible handles for you to be able to maneuver bite training. The item of the highest quality is resistant to strong dog bite, durable and easy to use. Now you are well aware of what kind of professional training gear for dogs you can find in our on-line pet store. Do not miss the opportunity to get assured of its high quality and reliability by yourself - order right now what your dog needs! We are happy to be helpful in assisting you and to make our contribution into your champion's education.